Do you love to Ride a Horse Cart? 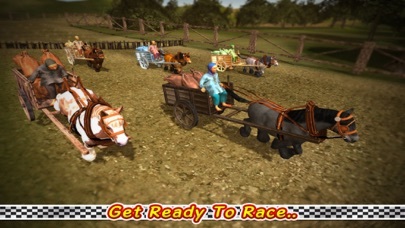 OXO 3D Studio presents 3D Cart & Carriage Racing game. Its not like a simple horse racing game but full action packed high addictive Cart racer game. You can play either with other Jockey & Cart riders to compete all racing missions or Play single like a Horse Cart simulator game. You can jump or dodge the obstacles in the fierce competitions. 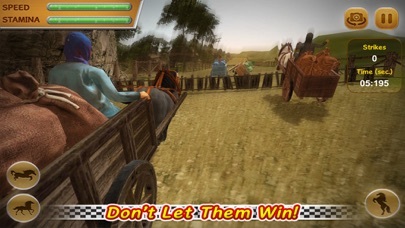 In this 3D Horse cart race challenge game you will experience the next level of high speed racing simulation game play just like a realistic Cart race. You have to ride on cart very carefully and jump over all the obstacles and reach the finish line within given time. 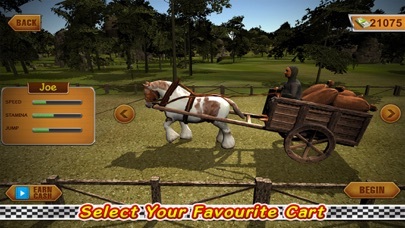 You can also speed up and slow down the horse running speed and can balance your carriage by tilting your device. You have to maintain your horse stamina till finish line. 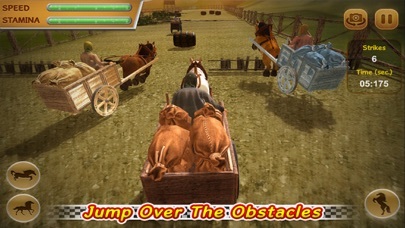 FEATURES: - Absolutely Free - Beautiful, Realistic, 3D HD environment - Unique carts - Awesome cart jumping and galloping - Challenging Levels based on time, speed and stamina - Realistic obstacles like wooden crates, barrels, wood logs, trees and hurdles - Multiple Camera Views during the race day - Variety of horse’ stables and saddle - Realistic riders - Intuitive tile controls to steer your cart - AI wild horse opponents - Many fulfilled 3D race missions and chapters - Full Action packed music and sound effects - Career mode vs Training mode - Realistic Controls - Realistic animations of cart race towards the finishing line - Easy to play - No Internet required - No In-App Purchases JOIN US ON SOCIAL NETWORKS: - OXO 3D Studio Website: http://oxoapps.com - Join our Facebook Page: https://www.facebook.com/oxo3d - OXO 3D Studio on Twitter: @Oxo3d WE LOVE TO HEAR: * If you like this 3D Horse Cart & Carriage Racing Game, then Rate and Review and if something went wicked or you have any recommendation then please give your valued feedback at mailto:3d@oxoapps.com. IMPORTANT MESSAGE FOR CUSTOMERS: * This is free game specially for Action, Racing and Simulation lovers but it contains third party ads.